I was lucky enough to run the wonderful Portrush Parkrun this weekend, and I was amazed at the number of runners taking part. Checking the run’s history, yes, it was the largest attendance at the race. Check out the race report here. 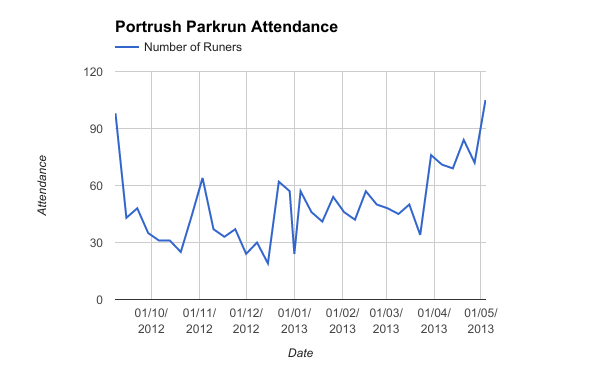 It is great to see this wonderful run (the only Parkrun course to use a beach) grow in popularity.